There are countless families who are wanting a high quality basketball hoop that is a good value and will allow for their kids to have a hoop for their home. 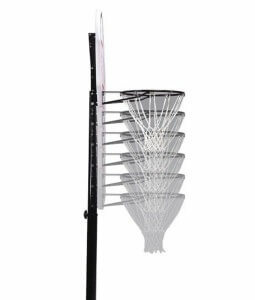 If you find yourself in this category then the Lifetime 51550 Courtside Portable Basketball Hoop would be a nice choice. 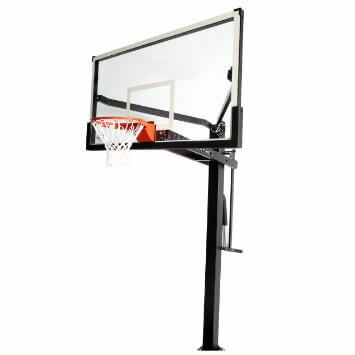 This basketball hoop has some higher quality features when it is compared to the its price. 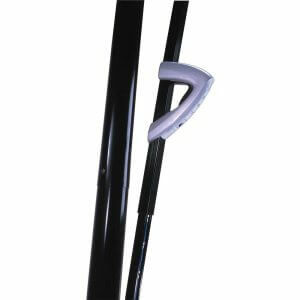 We really like the five year warranty provided by Lifetime, who manufactures all of their hoops in the USA. 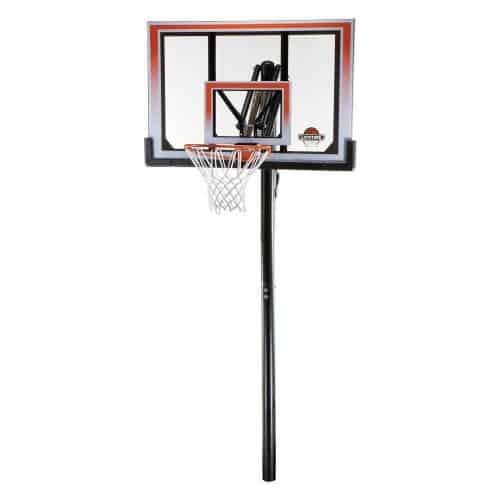 They have a solid reputation as a value based basketball hoop manufacturer. 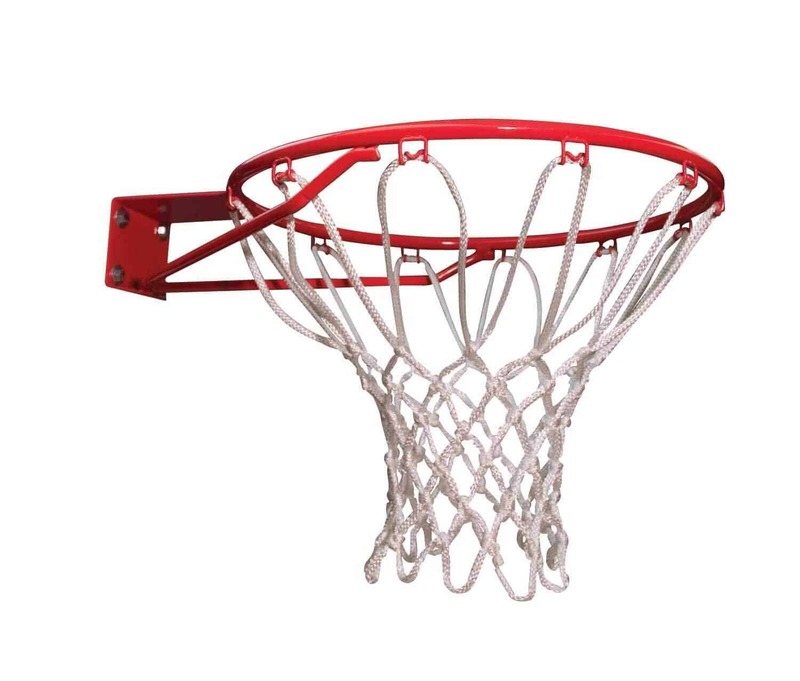 If you would like a Lifetime basketball hoop with a larger backboard with similar features as the 51550, we consider you take a closer look at the Lifetime 71566 and Lifetime 71522. 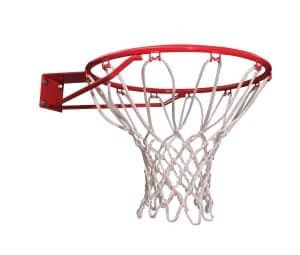 While the hoop is small it has some great characteristics. To start, the backboard is 48 inches and is made of a polycarbonate material that is very strong. 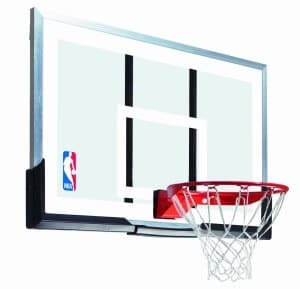 The downside to polycarbonate backboards is that they do not have the performance found with backboards made from acrylic and tempered glass. 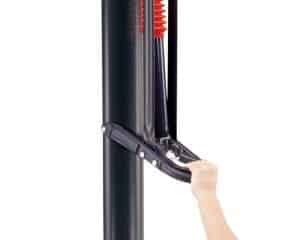 The height adjustment mechanism is very easy to use allowing the hoop’s height to be adjusted from 8 feet to 10 feet in 6 inch increments. 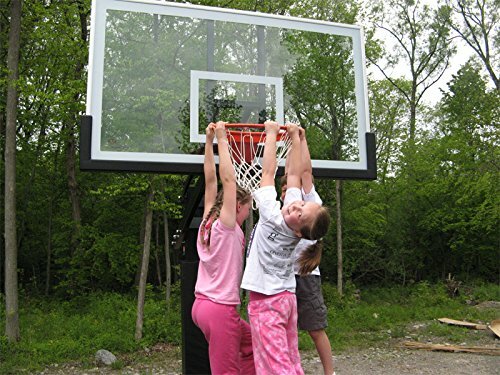 Having a hoop that has the height adjustment feature allows for children to practice proper shooting technique. The three piece support system does vibrate, but will meet the needs of most families looking for a hoop for recreational style play. 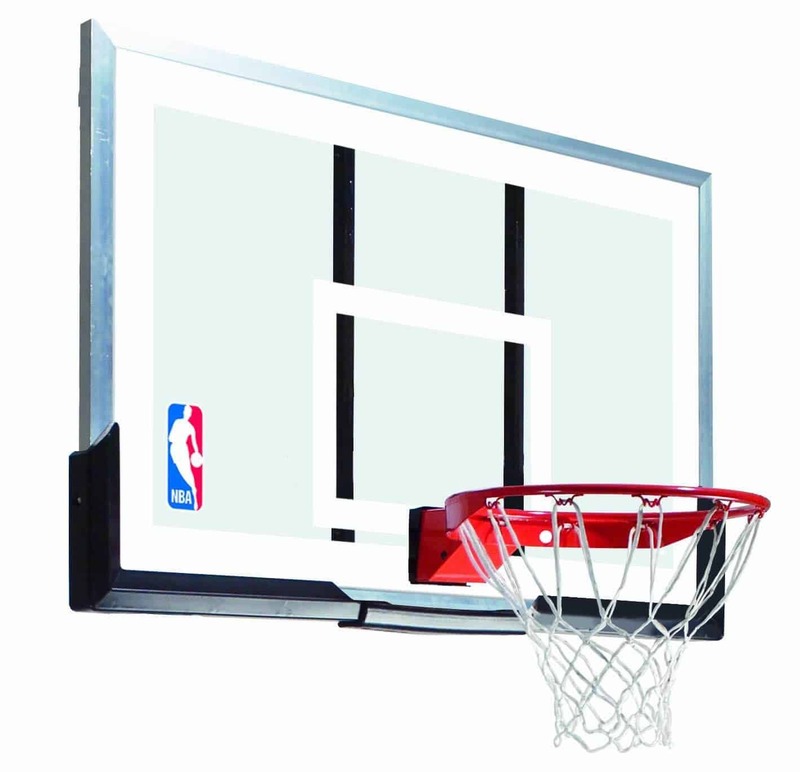 As a safety measure, the bottom of the backboard is lined with padding, which will keep players from getting injured. 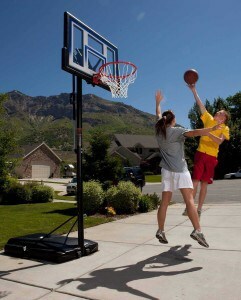 As we mentioned previously, the 51550 hoop is a great option for families with growing children. 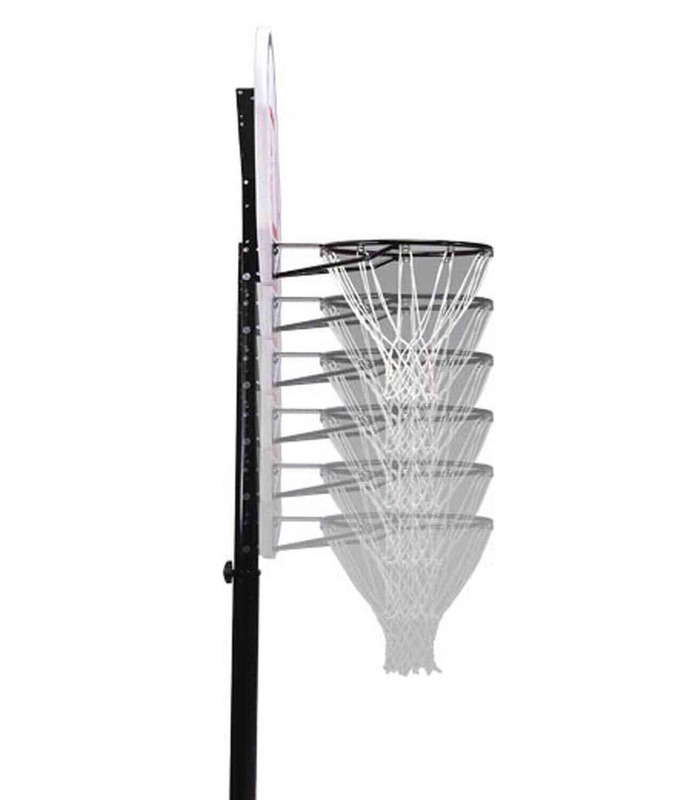 The basketball system is a lower priced hoop and should not be looked to provide professional level performance. 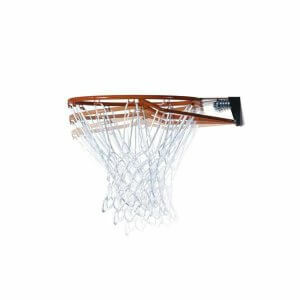 There are many great features that come with this hoop that you may not find with other value priced hoops. If you are looking for a higher quality, more expensive hoop, we suggest that you consider the 71566 or 71522, both from Lifetime. 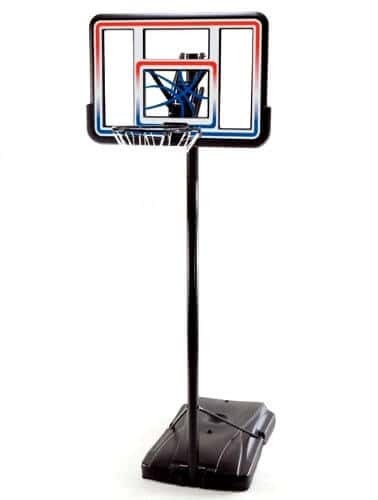 At the time of this writing the hoop cost $119 on Amazon, making the 90040 one of the most affordable full size basketball hoops out there. 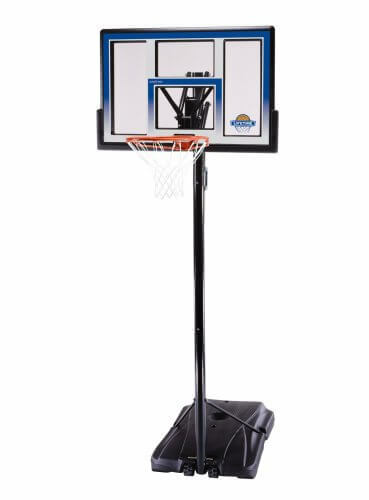 For such a reasonable price the hoop comes with some nice features. 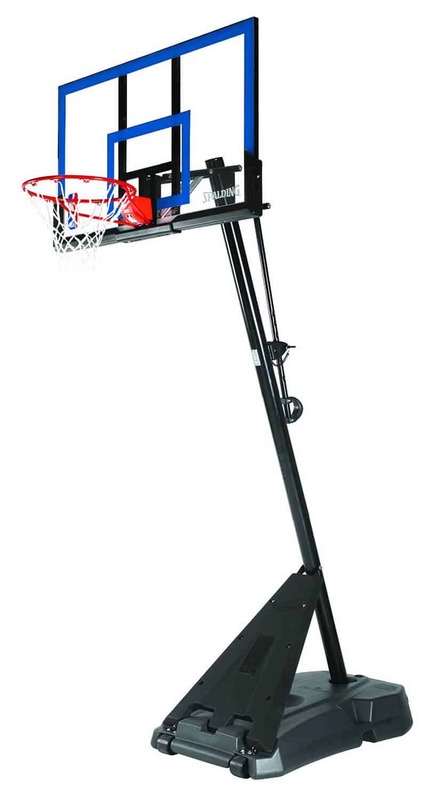 The Lifetime 90040 Portable Basketball System has a telescoping support pole design that allows for easy height adjustment. 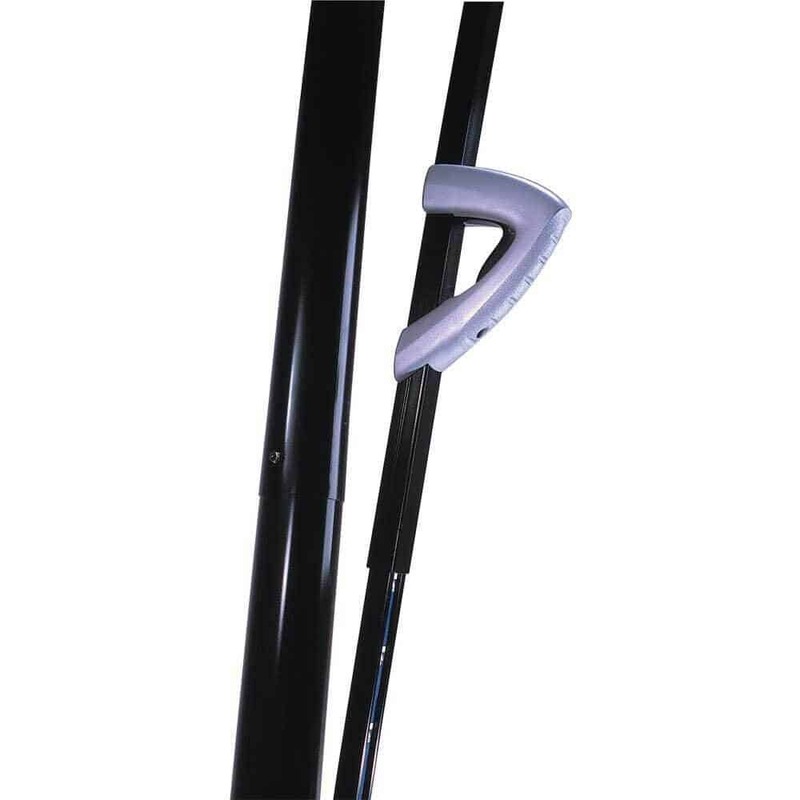 While we prefer some of the more advanced crank adjustment systems, the telescoping system will work just fine and gives owners the ability to adjust the height of the hoop in increments of 6 inches. 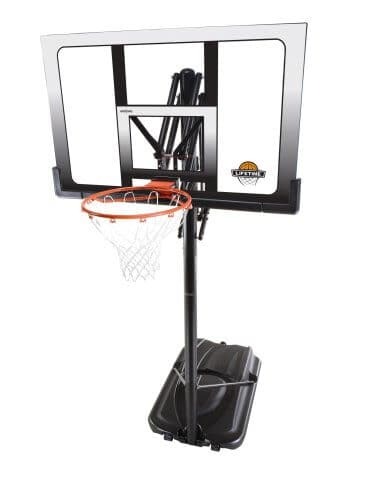 The plastic backboard featured on this hoop coupled with smaller than average support brackets cause this hoop to have significant vibration, especially on bank shots and layups. 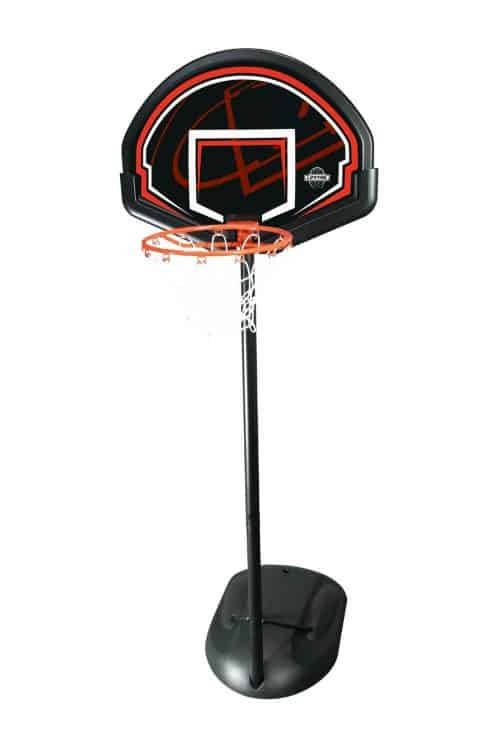 Not surprisingly, there is a noticeable difference between the performance of this hoop and those found in your local gym. 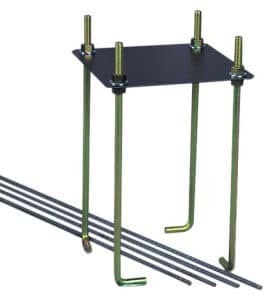 The rim is made of a quality steel material. 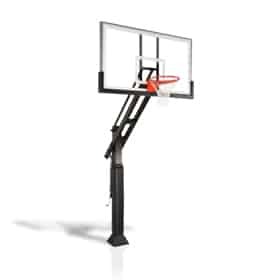 However, if you are looking to dunk on your system the Lifetime 90040 is not a good choice as the rim does not have any breakaway springs. 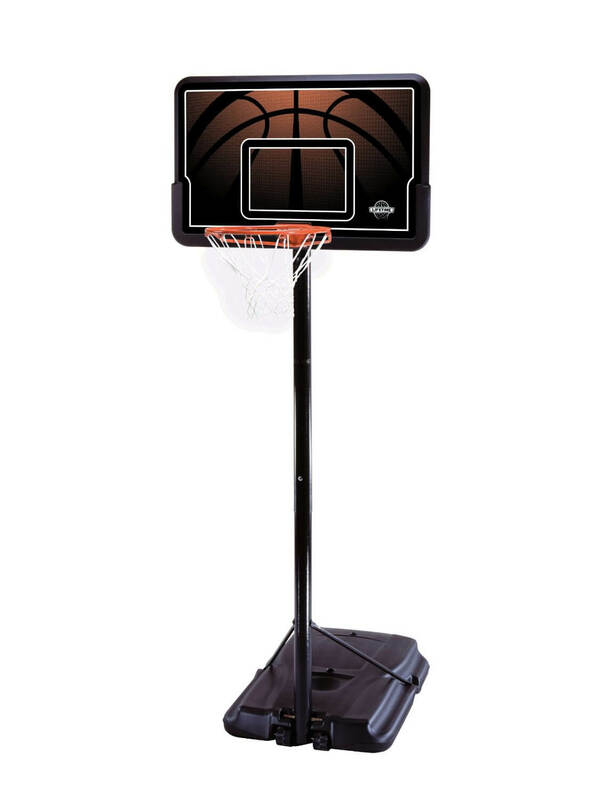 For any dads out there who want to teach their children about the basics of basketball like shooting, then the Lifetime 90040 Portable Basketball System is a fine selection. 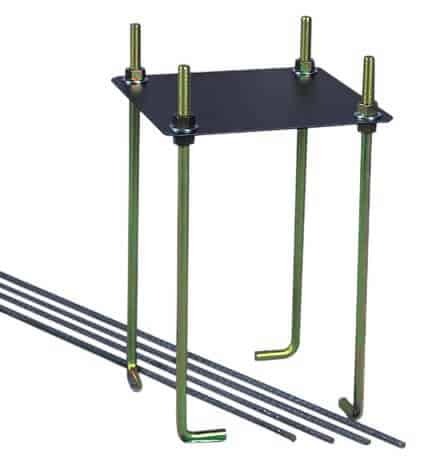 It offers all the basics that you need to be able to have fun family games. If you are willing to spend a bit more on your home hoop for some added features, then take a look the Lifetime 1529 and Spalding 48 Inch Basketball Systems, which are a step up in quality and price.